The _____, completed in 1869, provided access to the Indian Ocean from the Mediterranean Sea, without the need to sail around Africa. The _____, completed in 1914, provided access from one side of the Americas to the other without the need to sail around the tip of South America. Who designed the assembly line (1908-1915)? Who, in 1927, flew the first non-stop flight across the Atlantic? Who invented the telephone in 1876? 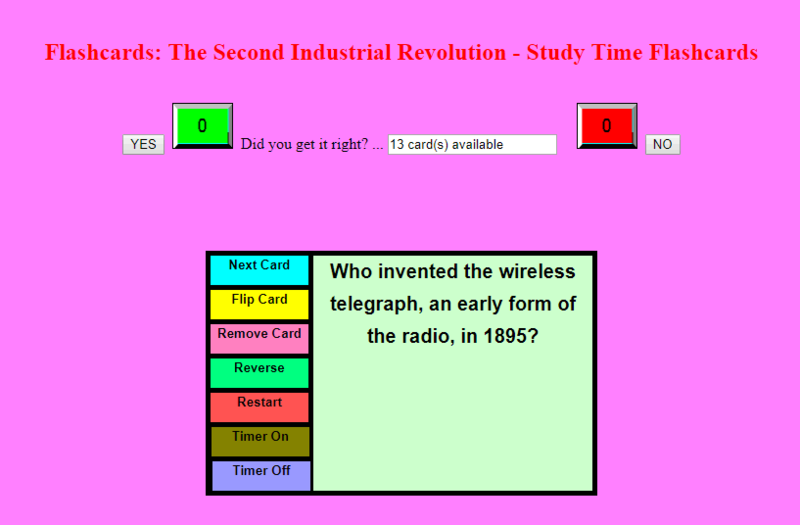 Who invented the wireless telegraph, an early form of the radio, in 1895? Who invented the radio tube in 1907? Who invented the television in 1925? The rotary press was invented by _____ in 1870. The linotype machine was invented by _____ in 1884. _____ invented the airplane in 1903.
Who invented the gasoline engine in 1885? What German invented the diesel engine in 1892?